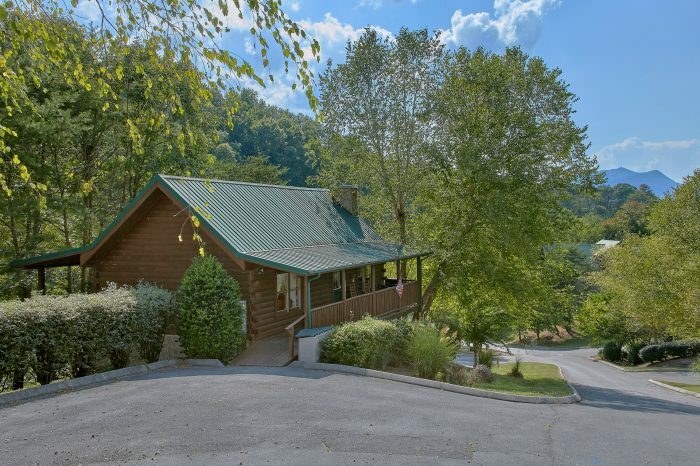 Welcome to Cabins At The Crossing, our cabin resort near Pigeon Forge, where you'll enjoy the splendor of "Lil Country Cabin"- a 2 bedroom cabin rental near Dollywood with swimming pool access, hot tub and more! 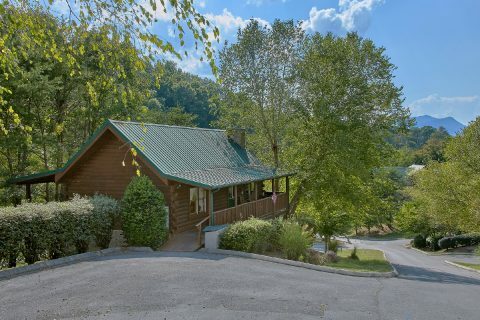 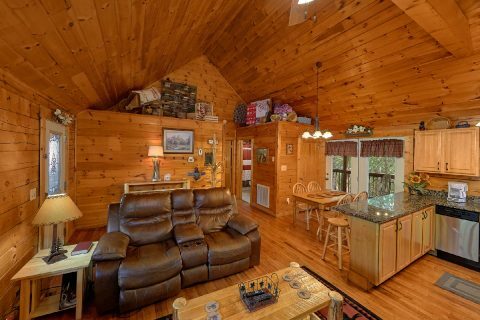 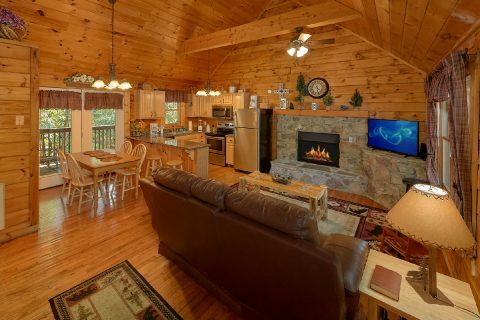 Your adorable resort cabin near Pigeon Forge accommodates up to 6 guests and offers all the comforts of home and more. 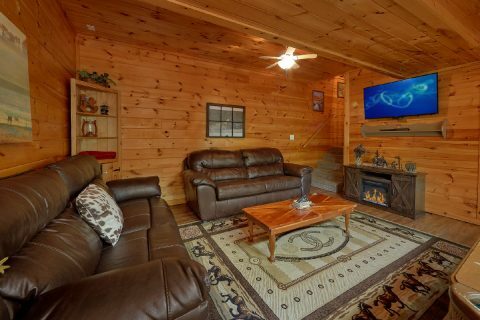 Step into the comfort of "Lil Country Cabin's" living room which features a gas fireplace and a television. 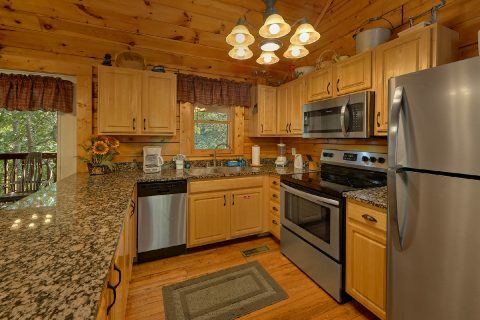 Cook meals anytime in the kitchen with spacious breakfast bar or host a cookout on the gas grill. 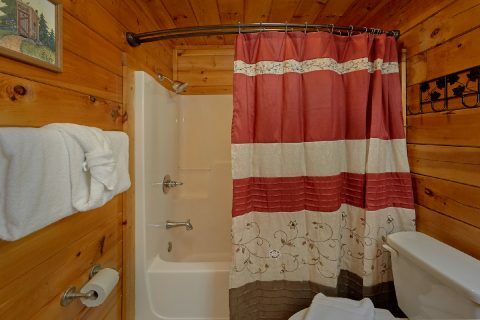 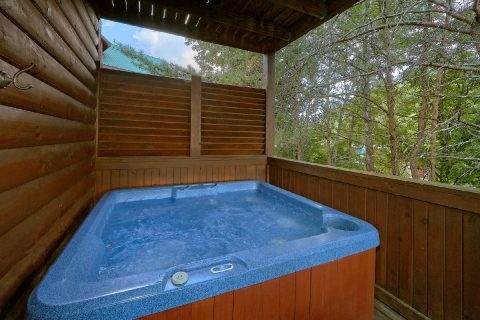 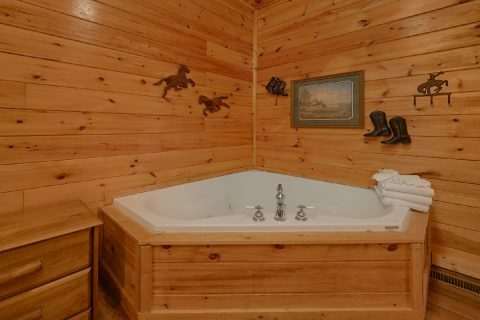 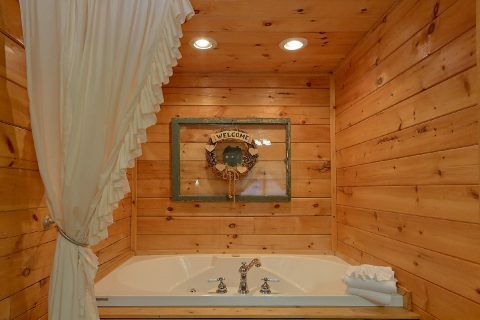 Your cabin rental near Dollywood boasts 2 king suites, one on the main level and one downstairs, that each feature an in-room jacuzzi, full bath, and television. 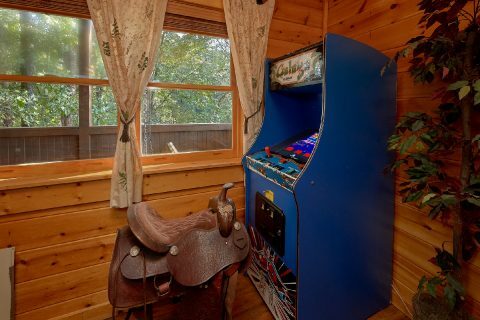 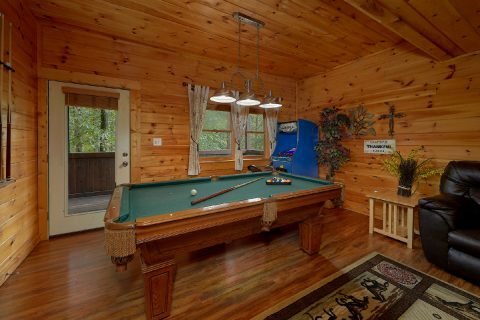 Downstairs, you can enjoy your cabin's game room that features a pool table, arcade game, a sleeper sofa, and television. 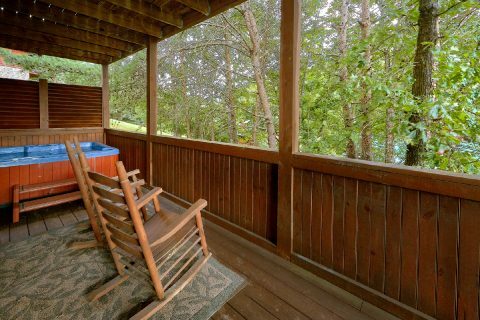 Outside, relax in the warm waters of your year-round hot tub or on the porch swing. 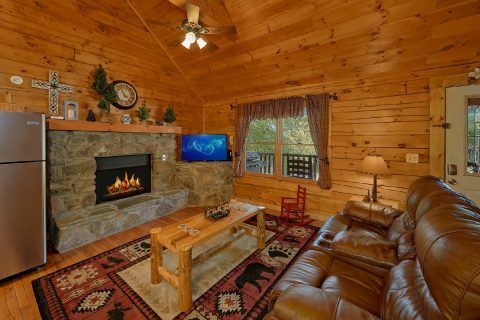 The Smoky Mountains is the Southeast's biggest playground with plenty to do for the entire family, but be sure to save time to enjoy your cabin resort near Pigeon Forge's amenities as well. 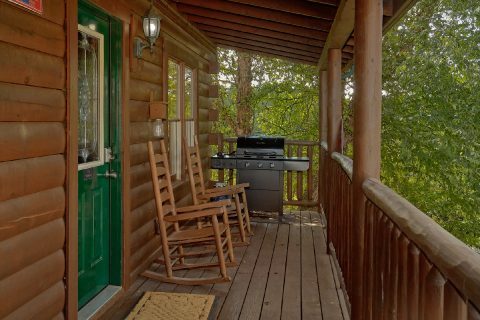 Cabins At The Crossing Resort offers guests wide paved roads, beautiful landscaping, off street parking, a children's playground, and scenic fishing pond. 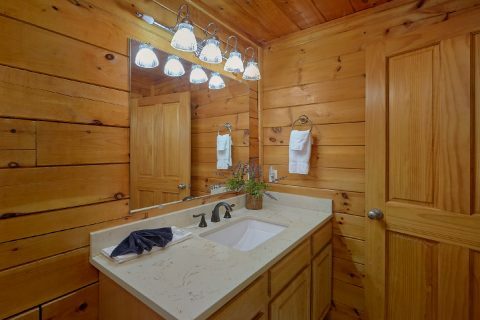 Guests of this cabin rental near Dollywood can cool off from the heat at Cabins at the Crossing's seasonal outdoor swimming pool with changing rooms, table seating, and free poolside WiFi Internet. 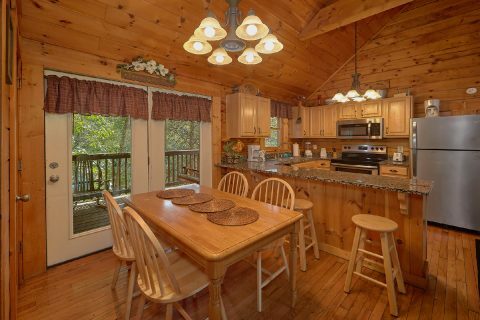 Bring your family to our cabin resort near Pigeon Forge for a lifelong memorable vacation in the Smokies. 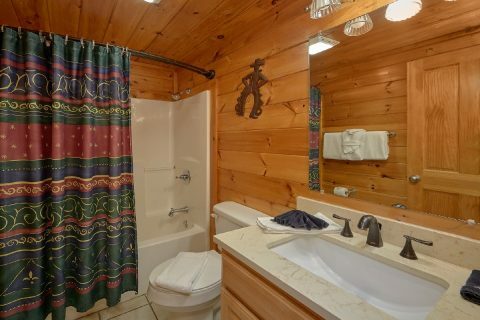 Remember, book "Lil Country Cabin" or any of our cabin rentals near Dollywood online for an immediate Online Cabin Discount!